Exclusive: Chelski “Smurfista Campaign” Fail! And so, the doomed “Smurfista” campaign was born. Lured to a London photo studio under the impression that they were going to be featured in the 2013/14 Chelski Kit launch, three unsuspecting Smurfs arrived, full of smurfy cheer, and thrilled at the prospect to meet some genuine football stars. Grouchy Smurf: “I really didn’t want to be involved. I can’t stand Chelski. They’ve always struck me as a bunch of slimeballs. Especially that J.T. character… You know I met him once. It was at the Champions League final of 2012. In the VIP men’s room. “I’d just finished doing my business, and was walking out, when I heard strange grunting sounds coming from one of the stalls. Smurfs are a pretty inquisitive lot – so I decided to have a look-see. “There was this guy in full Chelski kit, huffing and puffing, while stuffing shin-pads into his socks. That’s when I realized who it was. He looked up and caught me staring at him. And he said to me, “Oy! Who called you, you f—ing blue c*nt! ?” It was shocking. I couldn’t get out of there quick enough. Smurfette: “I should have known something was wrong when we came into the studio. The Chelski players were already there. The big one with the Shirley Temple curls. The one that looks like a pimply teenage girl. The short one that looks a bit like a hamster. And another cone-headed bloke. Luckily for the Smurfs, one of the Chelski PR interns notified the RSPCCC (Royal Society For The Prevention of Cruelty to Cartoon Characters) that something untoward was taking place. An officer was dispatched, and arrived shortly on the scene. The shoot was abandoned, and all of the pictures with Smurfs in them were confiscated. 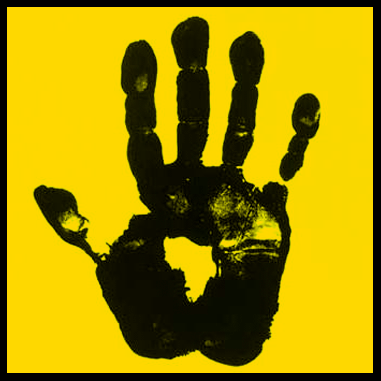 All, that is, except the one above, which was leaked to the Invinciblog newsdesk. Pictures released recently by Chelski would indicate that they continued with the shoot after the RSPCCC and Smurfs had left the studio. Either that, or they photo-shopped the Smurfs out of the shot. Sure – it looks like blue paint. 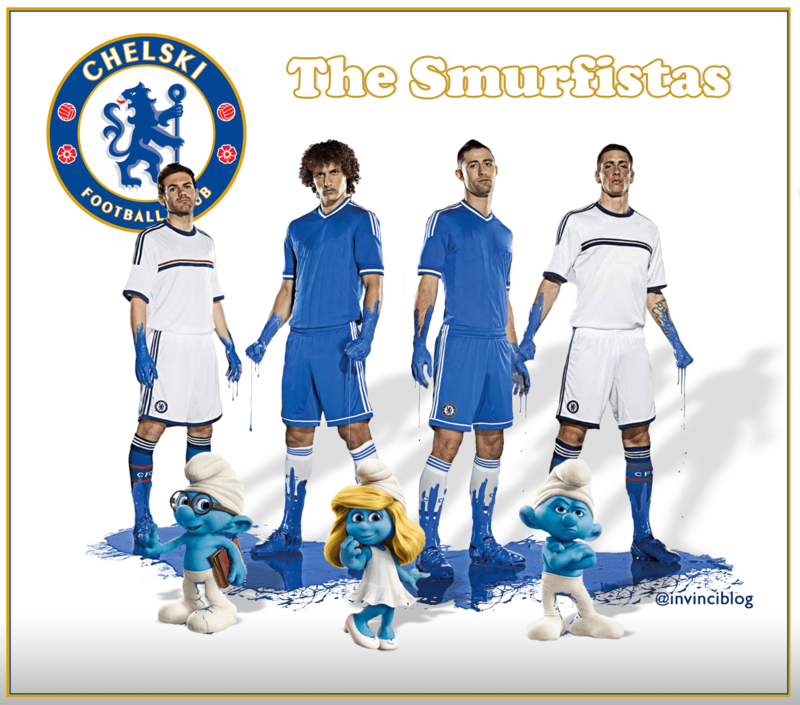 Exclusive: Chelski "Smurfista Campaign" Fail! http://t.co/y9NoctySxK Not for sensitive viewers… Enjoy. Share?